Many family members of funeral directors often share stories about how they’re always going out of the way to help others whenever the opportunity arises. They’re walking through a restaurant and see a rug is bunched up, they stop to fix it. An elderly woman is struggling to load her groceries in the car, they put them in the trunk for her. Helping your community is just an extension of helping families. There are plenty of opportunities for your funeral home to get involved with your community and help others. Community involvement not only benefits others but also creates a positive image for your funeral home and gives you the opportunity to network and establish pre-need leads. By becoming more involved with you others, you can help strengthen your community and see an increase in leads. 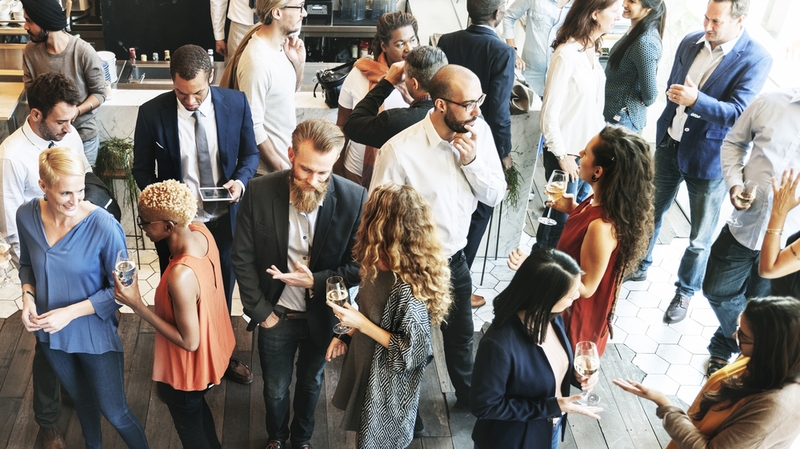 By serving on a community board, you can network with other business professionals in your area and put yourself in front of the consumers in your community. Serving on a board shows that you care about bettering the community you live in and want to help your neighbours. Many cities offer several boards that aim to serve different causes and concerns related to community improvement and wellbeing. School boards, downtown business development, city council, and Rotary clubs are all examples of boards in your area that could benefit from your service. In almost every community, there are events throughout the year for various causes and celebrations. Participating in these events is a great way to get your funeral home out there and interact with people in your community. If you set up a table or booth at the event, you can interact with people as they walk by and introduce them to services you offer. Often people are moving from booth to booth quickly so try to collect some sort of information to follow up with the person later. By posting engaging content online, you can help entertain and educate consumers in your area. In today’s “Google It” society, everyone goes online when they need to find out information. If people in your community want information about funeral services and pre-planning, consider posting and sharing content to help educate them. Think about it, if you become the go-to source for information about funerals, grief, and end of life resources, a family will most likely come to you when it’s time to arrange a service for their loved one. A donation is a great way to offer assistance to others in your community. Donations can come in different ways including monetary, time, and space. Financial donations are a great way to help the community or a cause. In most cases, if you donate to an event, organization, or cause they will thank your business somehow and publish material with your name and logo on it. This gets you name in front of people and shows that your funeral home is community oriented. Volunteering is a powerful way to support a cause or your community. By choosing to volunteer, you’re showing that you are a team player and willing to get involved to help others. If you really want to make a splash in your community, consider recruiting and organizing your staff to join you and volunteer as a team. A great example of volunteering as a team is Brunswick Memorial Home in East Brunswick, New Jersey. This funeral home was interested in helping others in their community and worked with two local shelters in their community to coordinate a “Christmas in July” celebration to help local homeless families. One of the best ways to connect with those in your area is by hosting events at your funeral home. As mentioned earlier, opening your space to the community allows people to walk through your funeral home and see how beautiful the facilities are. It also allows you the opportunity to promote features of the space and talk to people about how they can utilize it if they want to host a service or event. If your funeral home holds a liquor license, hosting a community event is a great way to promote this unique feature to those in your community. Before a family comes to you for a funeral service, think about all the other local professionals and groups they deal with. By networking with these groups and forming relationships, you can create a referral resource to direct people to your funeral home. If there is a local business community for end-of-life care professionals in your area, you should join this group and begin networking within it. By successfully selling your funeral home to these people, you can ask them to refer people to you. Want To Find Out More Ways To Connect With Families? We understand how important it is to connect with families in your community. At FrontRunner we are dedicated to making it easy for your funeral home to establish these valuable connections in a variety of ways. If you want to get your firm in front of more people in your service area, we would love to help. Contact us at any time to find out how our technology solutions, marketing services and expert team can take your funeral home where you want to go. Tommy holds a Communications degree from Laurentian University and an Integrated Marketing Communications Graduate Certificate from St. Lawrence College. He is a Content Marketing Specialist at FrontRunner and focuses on producing engaging content that funeral homes can use to connect with families. In addition, Tommy crafts SEO content for clients and specializes in helping the general public connect with the death care industry as a whole.